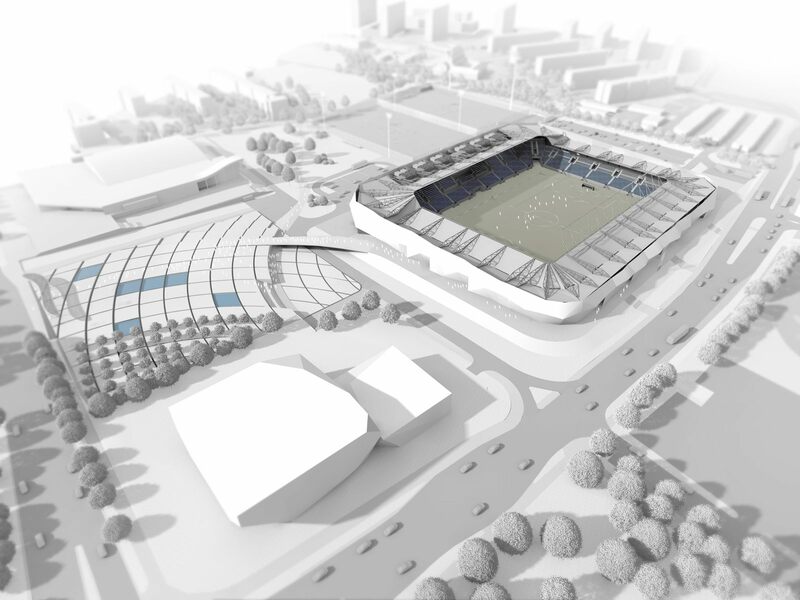 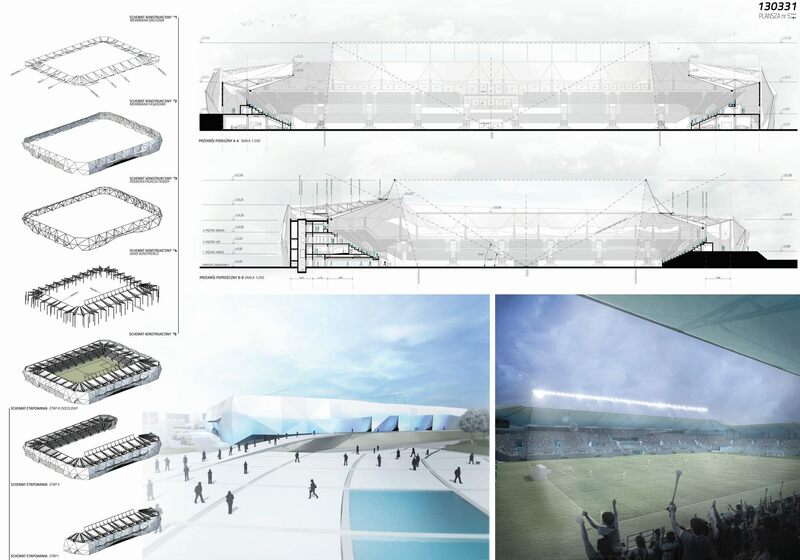 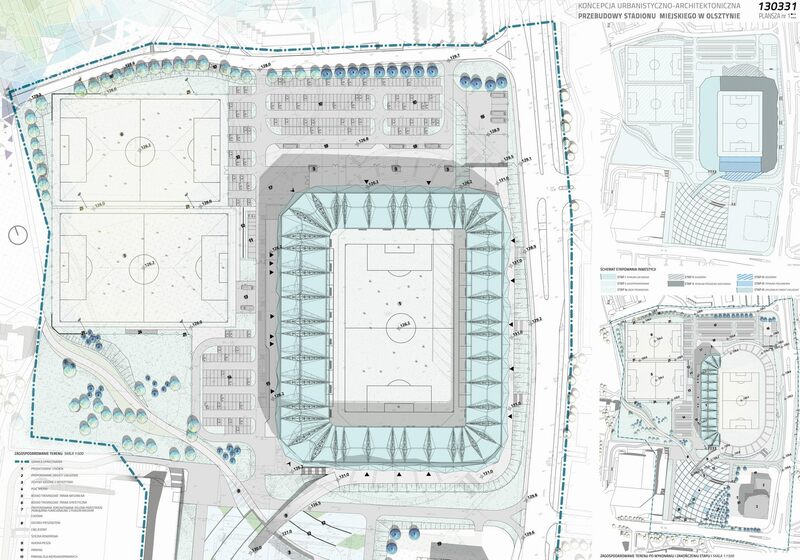 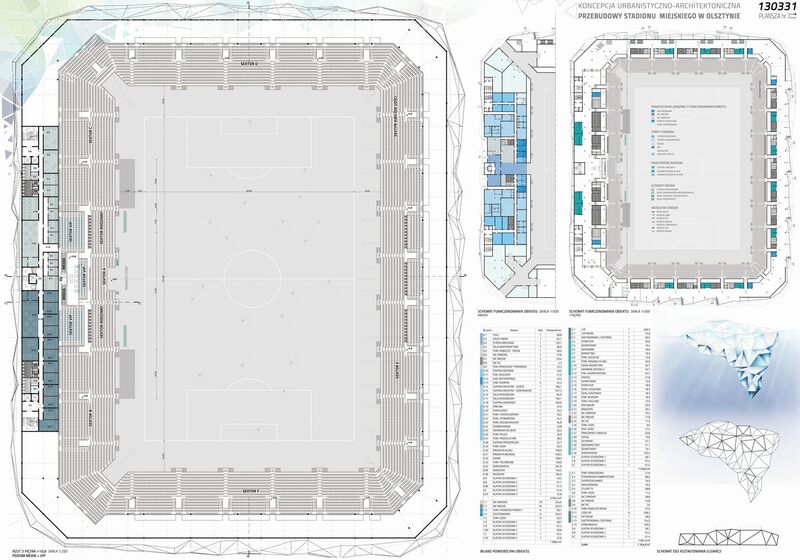 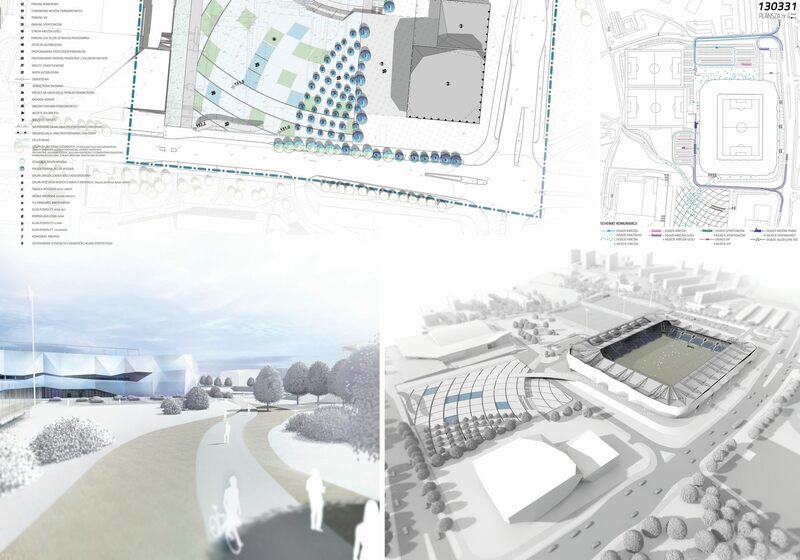 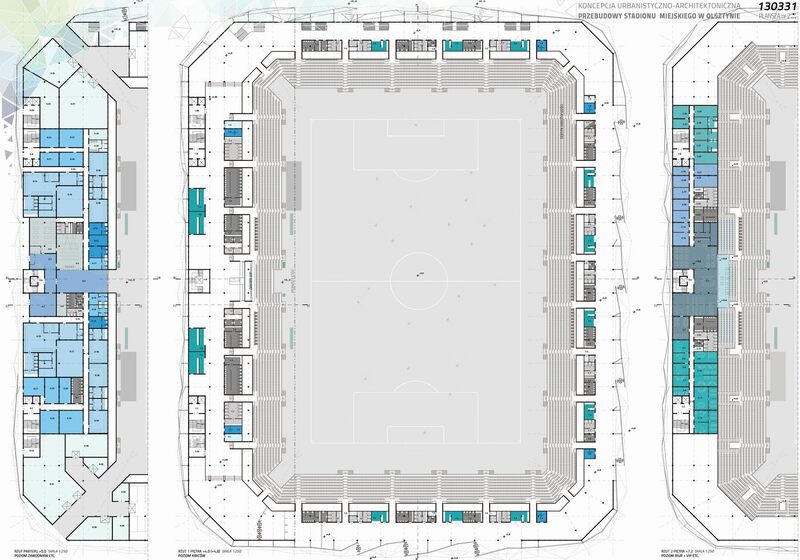 Just like glaciers forming the picturesque landscape of Warmia & Masuria around Olsztyn, architects of MD Polska considered the new stadium a landmark transforming the city’s urban fabric. 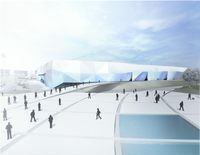 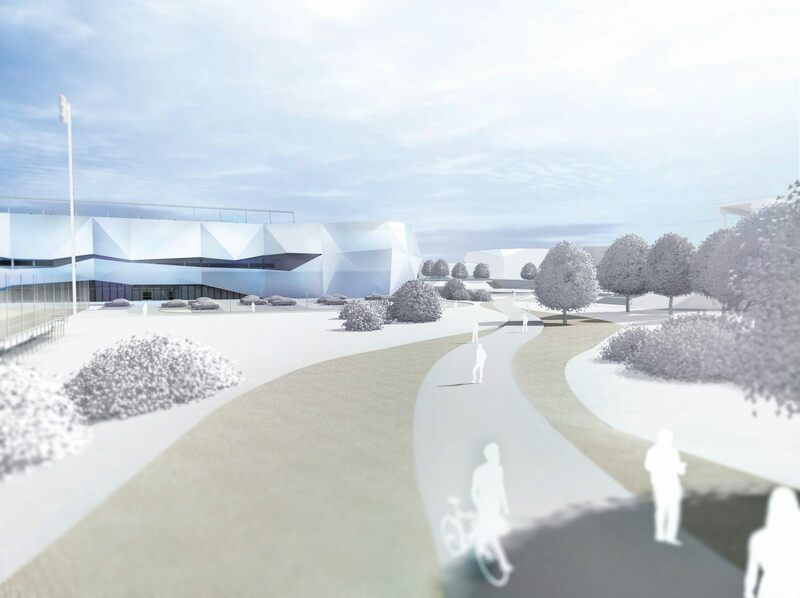 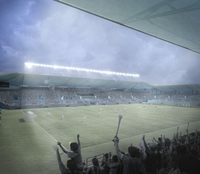 The scheme utilizes clear references to glaciers in its outer form, while light blue colours match those of local club Stomil. The concept was ranked as third most interesting among 14 entries, largely thanks to the bold idea behind it. 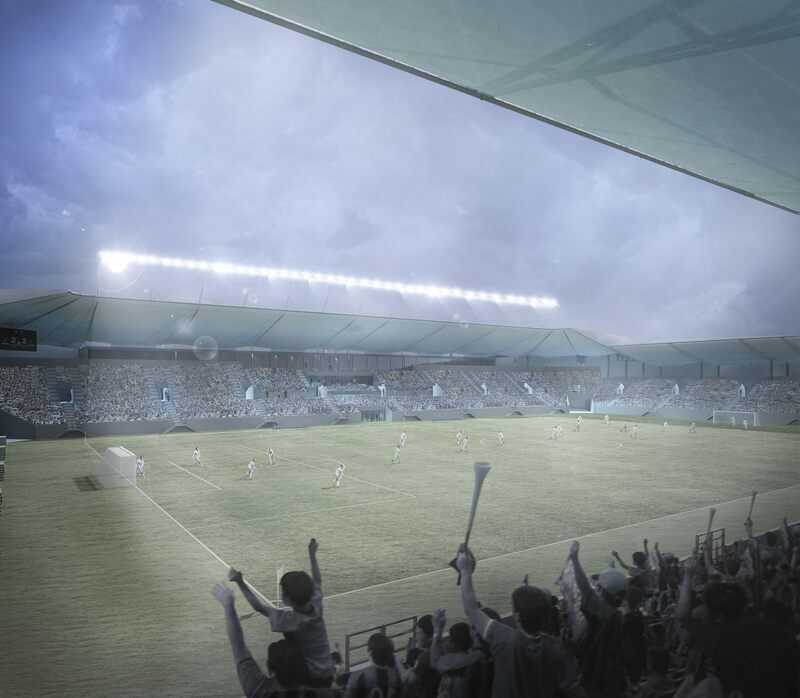 One of Poland’s most beautiful regions is getting its first major stadium. 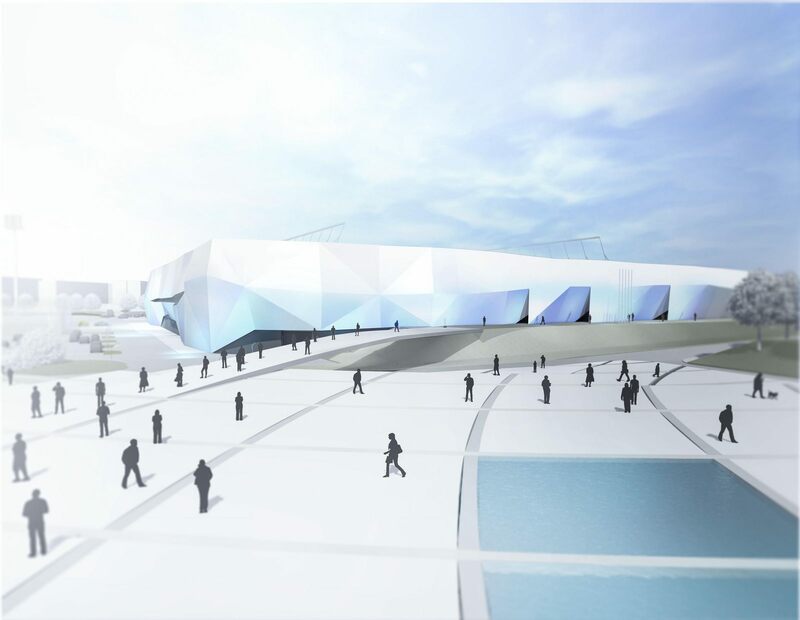 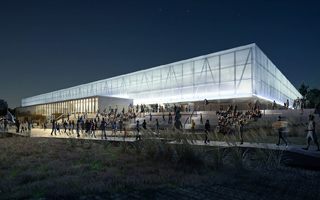 Construction to begin in 2017, but already now we have the official design selected. 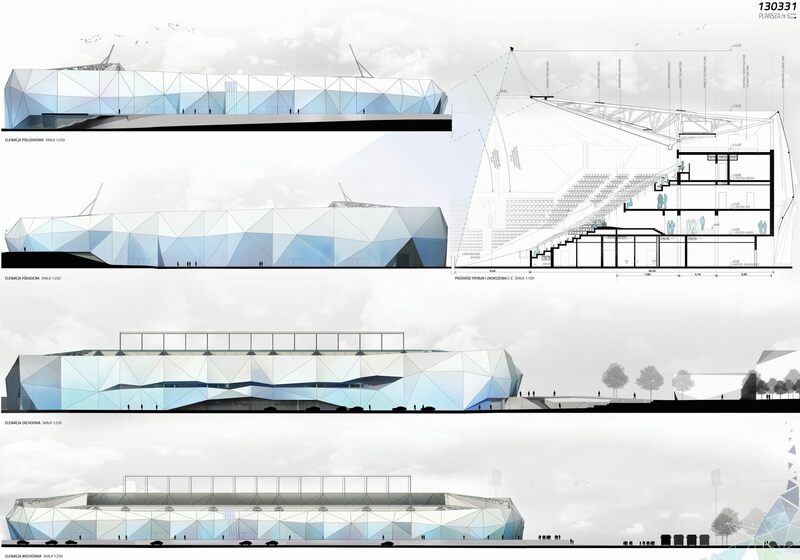 And two runners up, too.